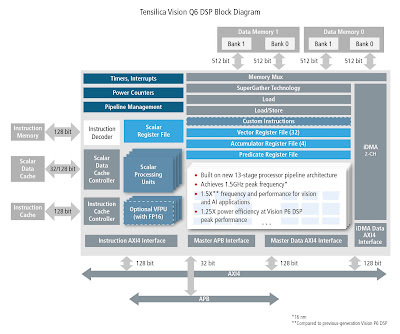 Cadence announces the Tensilica Vision Q6 DSP, its latest DSP for embedded vision and AI built on a new, faster processor architecture. 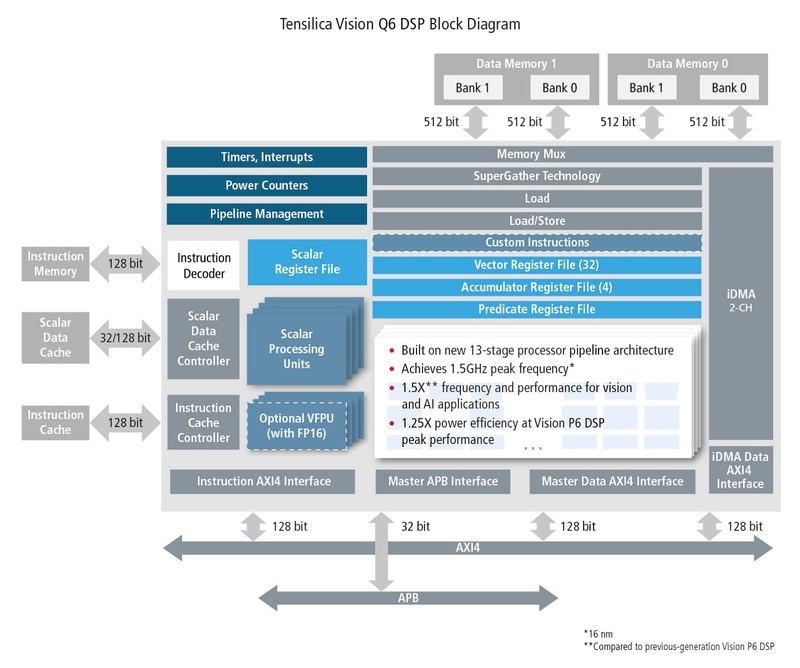 The fifth-generation Vision Q6 DSP offers 1.5X greater vision and AI performance than its predecessor, the Vision P6 DSP, and 1.25X better power efficiency at the Vision P6 DSP’s peak performance. The Vision Q6 DSP is targeted for embedded vision and on-device AI applications in the smartphone, surveillance camera, automotive, augmented reality (AR)/virtual reality (VR), drone and robotics markets.